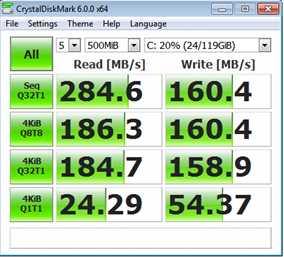 Are you looking for an SSD to boost the performance of your PC/laptop? Are you a gamer who needs a faster and a more efficient gaming rig and are looking for fast storage options? 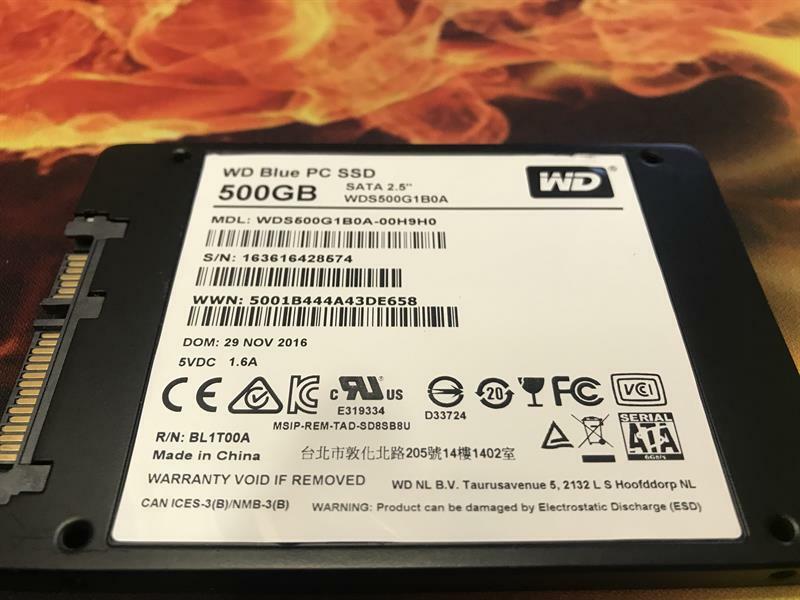 If yes, then don't look any further and read our full review of the WD Blue Internal Solid State Drive before you make your buying decision. I've been using a Solid State drive as my main storage and boot-up device for a long time now. An SSD not only reduces the startup time of your PC/laptop to a few minuscule seconds but also gives you that performance boost for heavy jobs like editing, gaming, photoshop etc. I had been using a budget level Transcend 128GB SSD on my old trustworthy i7 laptop until the laptop finally went bust. This time around, I decided to revive my old home PC with new components and utilize it for all the heavy work I need to do in addition to enjoying a few games every now and then. I had a functional CPU, RAM, and Hard Disk drives, however, I really needed a fast SSD that'll be able to cope up with my ever-increasing hunger for power and speed. 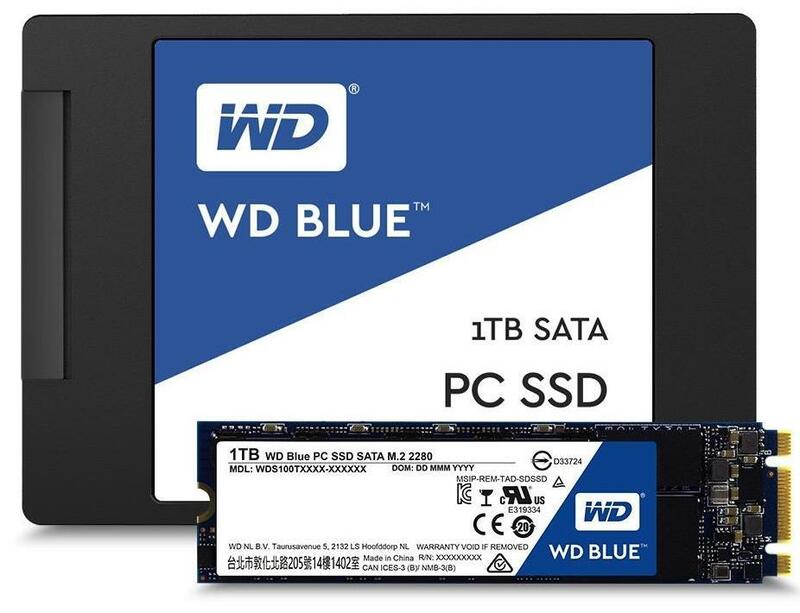 I was considering a few options for my SSD purchase when Western Digital contacted me and offered their new WD Blue 500GB SSD for testing and review purposes. The Western Digital Blue SSD is extremely lightweight at just 40 grams. The 2.5" enclosure for this SSD is pretty basic and is made of out plastic. The branding decal pasted on it is also pretty simple. However, appearance is not really the primary reason for us to buy SSDs, isn't it? Performance is! This is how the packaging of the SSD looks like. 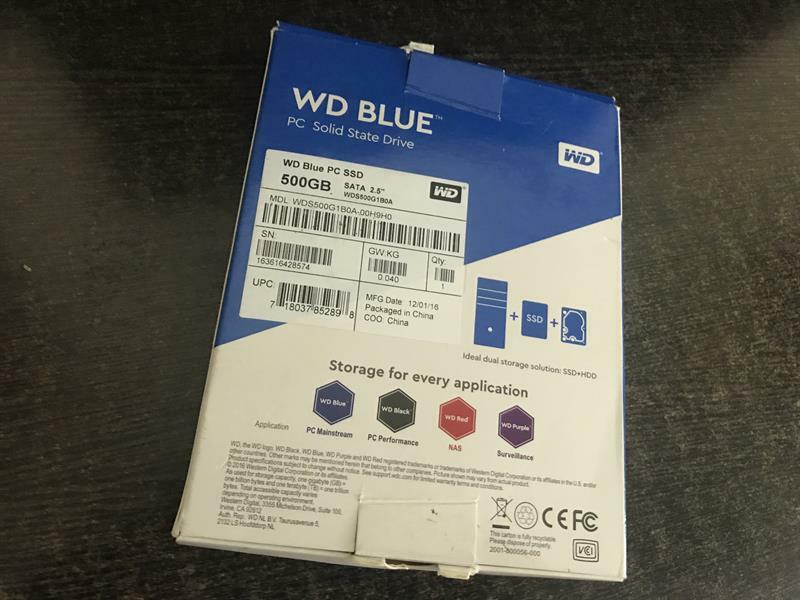 The basic packaging of Western Digital products reminds me of the famous saying, "Never judge a book by its cover". This is because the overall performance of this SSD would blow the initial impression it creates on someone's mind. More on the performance later during the review. The last SSD that I bought a few years ago came bundled with accessories like a metal bracket and screws so that it can be connected to a desktop without having to spend anything more. 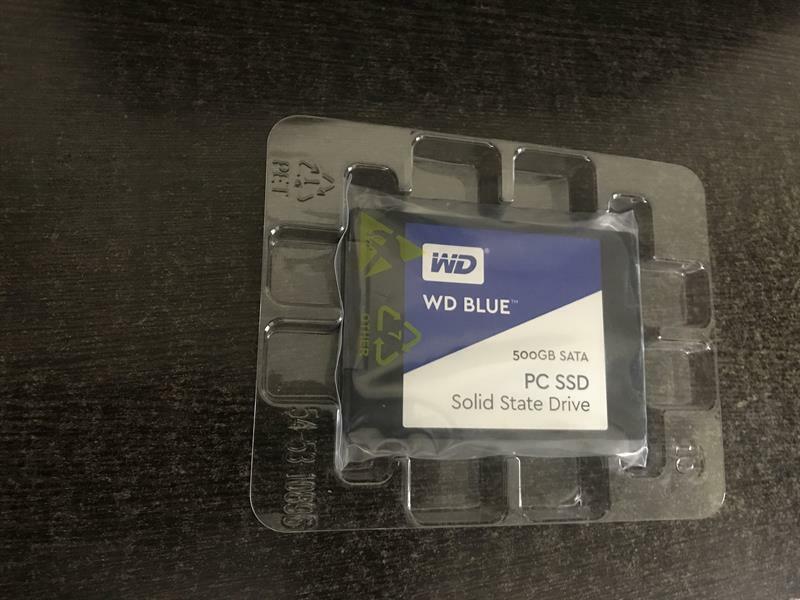 The contents of WD Blue SSD box, however, did not come with any extras. To be honest, a desktop bracket for an SSD isn't really a necessity since there aren't any moving parts in it. You can simply connect it to your motherboard and have it kept on something level inside. The one that I received was a 500GB SATA III 6Gb/s SSD. 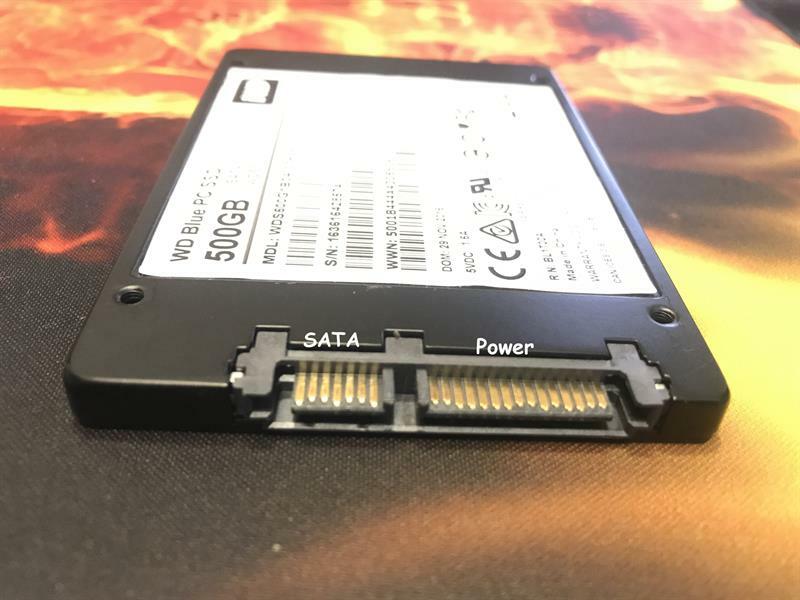 Installing a 2.5" SSD onto your computer is a piece of cake. You can either connect it to your laptop or desktop depending upon the ports available. I connected it to my desktop using the SATA and power cable from the motherboard and running them into the ports on the SSD. 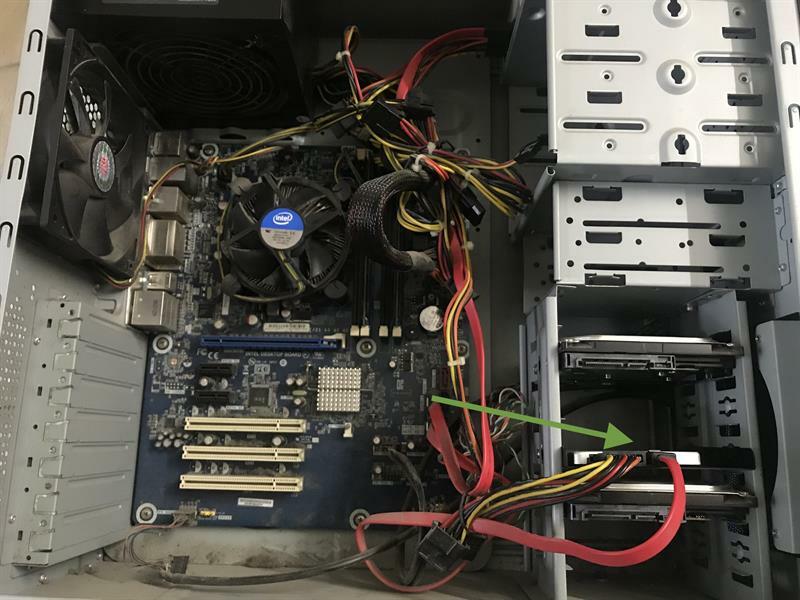 If you pardon the poor cable management and the overall cleanliness of my PC, you would be able to see that running the SATA/Power cable from the motherboard to the SSD would simply do the trick. After the hardware connection, you would either need to install a fresh OS onto the SSD or clone your existing hard disk that the Operating System runs on. Please note, that the above figures are official figures that WD has released. Figures like these are generally generated after simulated tests under specific conditions. In reality, the actual figures that a normal user gets are usually 20-30 percent lower than those stated in their technical sections. After reading through their technical specifications, I was ready to accept anything around 400-450mbps as their read/write speeds. 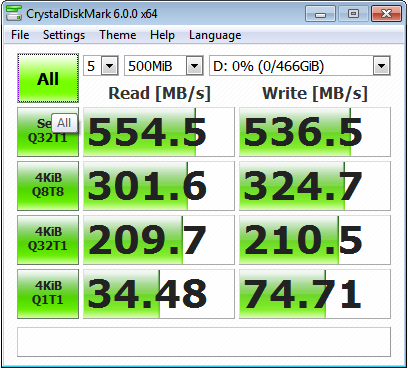 If you have a look at the first result of 554mbps of sequential read speeds and 536mbps of sequential write speeds, you would notice that the WD Blue 500GB SSD not only matches but exceeds the test results of WD themselves. This, in my opinion, is absolutely amazing! 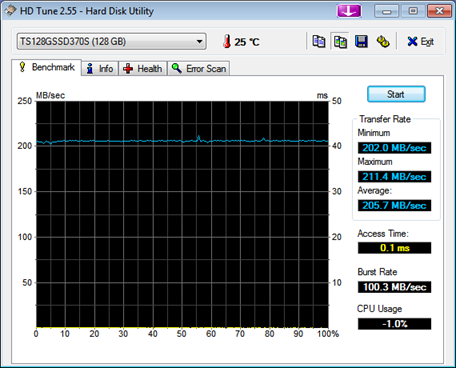 The average transfer rate as per HD Tune was 408.7MB/s which I believe was more on the believable side. The bottleneck here must be the i3 processor. Had I used this on an i7 or an i5, these figures would've been much better. 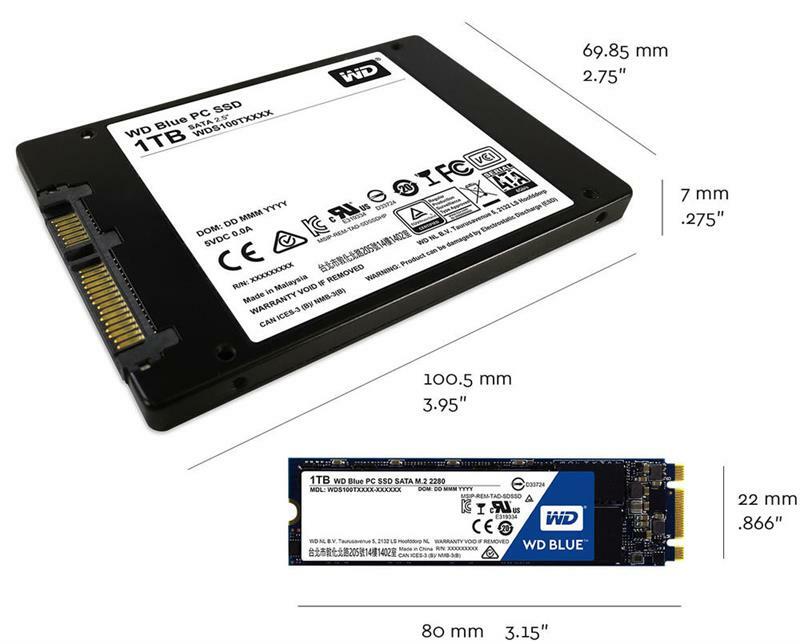 For the purpose of cloning the existing OS onto the new SSD and regular maintenance of the SSD, Western Digital provides the following free software on their website. We highly recommend using the official WD software available on their website. 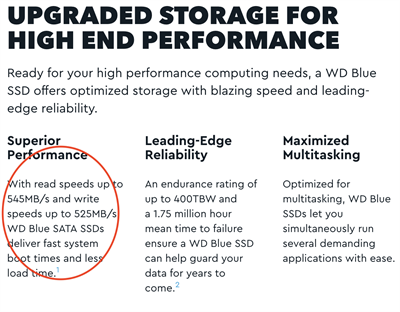 Western Digital provides a 3 year limited warranty on their SSDs, the details for which are easily available on their website. If you have any questions on this product, please leave a comment below and I will try my best to answer it as soon as possible.